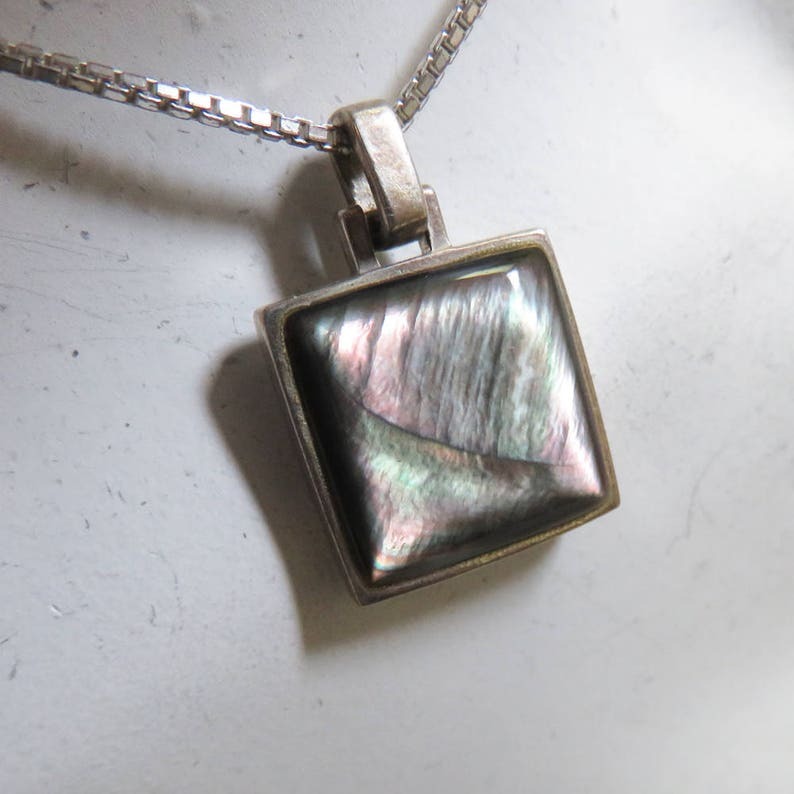 This vintage but modern styled sterling silver labradorite pendant and chain are both marked as to silver content. The 18 inch tiny box link chain has a spring ring clasp. The classic design pendant is simple and lets the green and pink color of the gorgeous stone take center stage. It measures 7/8ths inches high including the bale and 5/8ths inches wide. Both pieces are in MINT condition. This will come to you in a lovely gift box for easy gift giving.